Do you crave The Great Gatsby look? Want to know more about Flapper Girls, get the bobbed hair of Louise Brooks, or indulge in the timeless style of Coco Chanel and Molyneux? With the resurgence of interest in all things ‘20s, here comes a timely style title on ‘20s inspired dressing – with an intriguing difference! 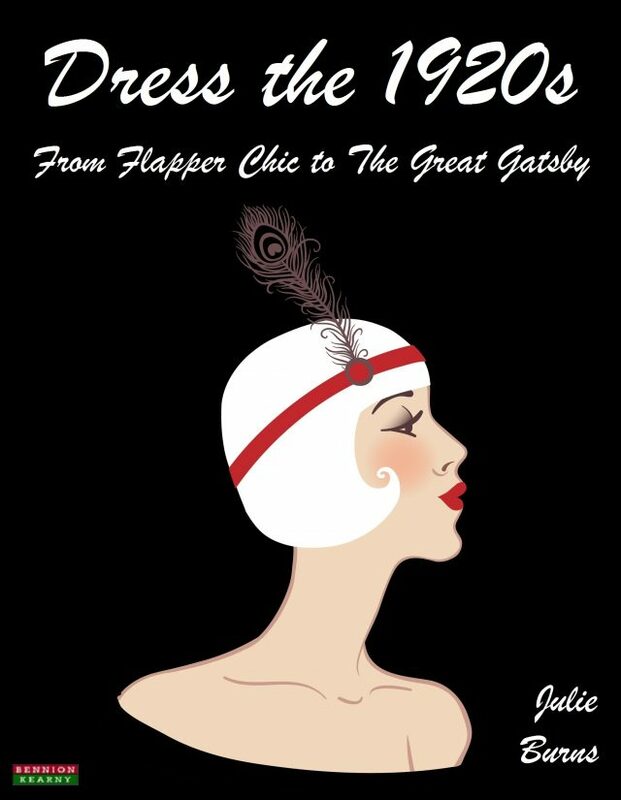 Dress the 1920s: From Flapper Chic to The Great Gatsby is an inspired and quirky combination of vintage guide and self-makeover manual. It spans social history highlights to ‘20s image and fashion instruction, and is packed with tips from sourcing and shopping to styling and storing. It all adds up to a fun and focused must-have for all style and culture lovers. From the continuing global success of period productions like The Great Gatsby, Downton Abbey and Boardwalk Empire, the remarkable style of the Roaring ‘20s enjoys resonance today. A time of romance and decadence in the aftermath of the First World War, the era was also one of great social and stylistic change, in which female dressing expressed women’s emerging emancipation. A world away from constricting Victorian corsetry, long hair and skirts, along with her new lifestyle of working, driving, smoking and dancing, the typical ‘20s flapper shockingly bobbed her hair and raised her hemline. With today’s worldwide interest in vintage in mind, vintage aficionado, writer and stylist Julie Burns, has created the first in a series of decade dedicated dressing guides – guides that are both accessible and informed in approach. As invaluable for the vintage virgin as for the purist; the serious collector and the dabbler; the fashionista to the student on a shoestring, and those in search of alternative yet timeless style, it ticks all today’s boxes for practical advice on budget-friendly, investment dressing that’s eco-conscious yet exclusive, and as individual as you are. Read the book and get that 1920s look! Julie Burns is a cross-media style and lifestyle, arts and culture writer and stylist, with specialism in, and passion for, vintage fashion. Within broadcasting, she has variously worked as style researcher and vintage consultant on BBC TV shows, and produced live style items for Radio 4’s Woman’s Hour. She has appeared in, and provided costuming for, well-known period film productions; styled magazine makeovers and private clients from mainstream to vintage style; and collects and sells vintage to auctions and interested buyers. In addition, she has lectured on the subject, is an accomplished vintage style dancer, and dresses in vintage glamour whenever possible! Book Categories: History and Self-Help.